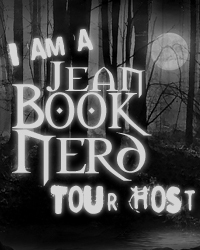 Thank you for your interest in signing up to be a part of Jean BookNerd Blog Tours. To begin, please submit your answers below. **Your submission does not guarantee a spot in an upcoming blog tour. By clicking "Submit", your information will not be shared to a third party in a Nerd Blast or Cover Reveal unless you are selected to participate in any Blog Tour. Thank you for your interest in becoming a contributor to JBN blog tours. This sign up will enter your name on a list to become a participant of the various upcoming JBN blog tours. It is not a guarantee that you will be chosen as some of the tours are already booked. If you are chosen, I will be in contact with you and email you information about that particular tour. Blog tours are time-sensitive and your promptness is appreciated. Open to U.S., Canada and International Bloggers. Blog tours are conducted closely with the author(s) and/or publisher(s). If your intentions in signing up is to have an ARC, please do not bother. Since the main purpose is to promote and support the book, if you are chosen for a blog tour stop and if for any reason you don't like the book, please let me know in advance. Proper rearrangement will be accommodated for your assigned stop. Tours consists of spoil-free reviews, guest posts, excerpts, author and character interviews, and giveaways. You will be given an itinerary and your content is required to post on the morning of your stop. It needs to be posted by 8am PST. Please maintain your post at a professional level. The author(s), publisher(s), and fans will be following the whole course of each tour. I will visit each stop as I collect information to be included in the main blog tour post. Failure to post your content will result in removal from the tour and any consideration for future blog tours. I reserve the right to ban blogs who do not fulfill their assignments from future tours. I do tours to help and promote authors and their amazing work. Participants in the blog tours will not be compensated for their time and effort. Blog tours are fun as fans are able to get a one-of-a-kind experience with their favorite authors. These ground rules needed to be covered in order to make all blog tours smooth, exciting, fun, and unique. If you have any questions, please ask me at jeanbooknerd@gmail.com. Grab The Official JBN Tour Host Banner! Great blog. I enjoyed reading it. Thanks.